Hej! My name is Anna Hopkins, and I am a rising junior at Indiana University where I am double majoring in Psychology and Speech and Hearing Sciences. This summer, I am studying abroad in Copenhagen for six weeks! I chose to study with DIS in Copenhagen for multiple reasons. First, because I am a double major, I really wanted to take some classes that would actually count toward one of my majors back home in Indiana. Thankfully, DIS offers such a wide variety of courses that it was incredibly easy to find a couple courses that fit my interests and my major. Also, I knew that I wanted to study abroad in Europe, and I chose Copenhagen because of its amazing location that makes traveling very easy and because honestly, I have only heard positive things about how beautiful and wonderful Copenhagen is. After being here for a week, I already agree! Because I am very involved in band, music, and other clubs at Indiana University, I knew I could not give up a whole semester away from exhausting hours of marching band practice or exciting basketball games. Thus, it was crucial for me to study abroad during the summer. The DIS Summer Sessions were a perfect fit for me to live my dream of studying abroad without missing too much of my life at my home university. Currently, I am taking Positive Psychology, which focuses on happiness and well-being. Taking this class in Denmark is so amazing because the Danes are consistently ranked as the happiest people in the world! We have been analyzing why (and if) the Danes are truly so happy and learning how to foster those positive emotions to make ourselves happier as well. So far, the class has been incredibly inspiring and has really made me consider my own strengths and values. During Session 2, I will be taking European Clinical Psychology. All Session 2 classes are coupled with a study tour, and my class is going to spend five days in Vienna, Austria. I can’t wait! My first week in Copenhagen is already coming to a close, and I cannot wait to see what the next five weeks have in store for me. I have already seen many of the well-known Copenhagen attractions, such as Nyhavn, Rosenborg Castle, and The Little Mermaid Statue. However, I have many more sights to see and many more places to visit! I am working on planning weekend trips to Norway and The Netherlands. 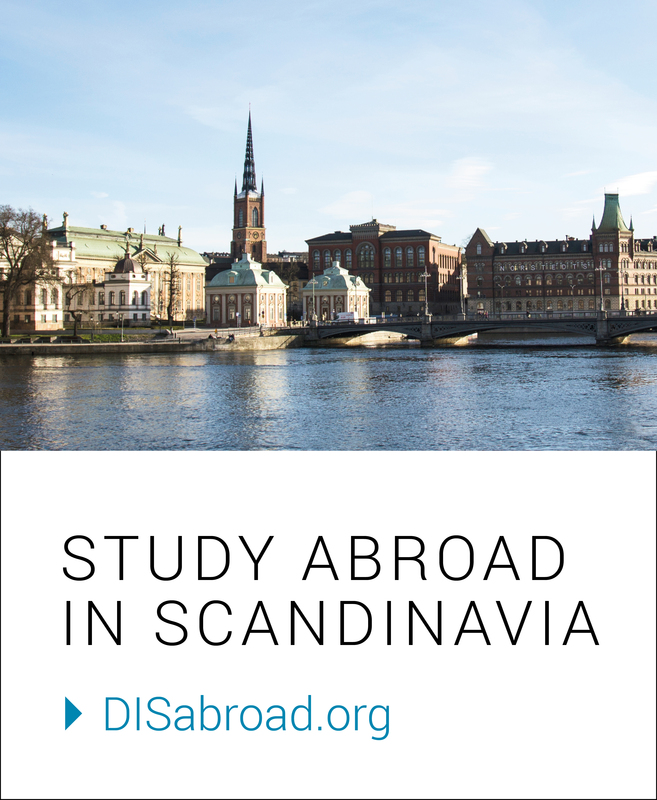 Traveling and learning are two of my favorite things, and studying abroad at DIS Copenhagen combines these two interests so perfectly. Although the first few days here were definitely overwhelming, I have begun to settle into this new city and new culture. I’m excited to call Copenhagen home for five more weeks! Next Why Copenhagen should be your home and Europe really should be your classroom. Hi Anna I read your blip, it was very interesting now I don’t have to bug you with my dumb questions. Looks like you are having a good time, and when you come back you will have to teach us how to be happier people! Becareful out there and Aunt Carol says Hi to you ! We will be watching and waiting for more about your trip. Toke it easy ! Opps I mean take it easy! My Bad ! Hi! I would love to hear more about your trip. I have been reading a lot of blogs on here lately because I am studying with DIS this summer. Yours really stuck out to me because I am taking the same classes that you took last summer, but this summer and I am studying speech pathology and psychology. Please let me know if I can contact you more with questions! Thanks! Abby, I would be happy to tell you more about my classes and my time spent studying abroad in general. You may email me at: annhopki@umail.iu.edu & ask any questions you have!